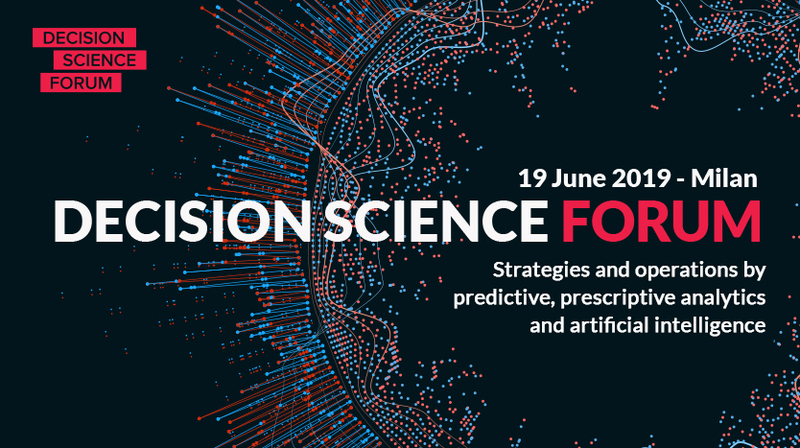 On 19 june 2019 the DECISION SCIENCE FORUM is back. The leading Italian event on Predictive Analytics, Artificial Intelligence, Math-Optimization and Simulation. International players, researchers, early adopters and decision makers will explore these topics in a day packed with talks, interactive sessions, discussions and more. What will we talk about? take a look! Strategy, Operations, risk profiles, resilience. How to properly adopt the techniques of decision science? How does the role of decision makers, managers and operators change? Algorithm culture and man-machine cooperation. The value of innovation experience. The role of CEO and CFO. 19 june 2019 - Save this date in your calendar now!